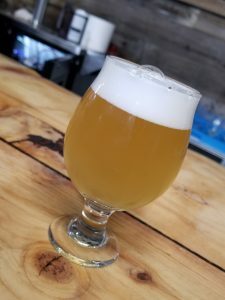 The Market at La Comisaria is THE best market in town if you love craft brew. For a prime example of craft beer, look no further than The Market. Light, dark, doesn’t matter. Ales, pilsners, hoppy IPAs, stouts, sours, you like it, they carry it. Try a new brand. Try a new flavor. They even carry ciders, meads and wines. Last year owner Patrick Chinn told the MV: “Beer is my passion. I want our beer selection to be exceptional. I hold it to my very high standards as a beer enthusiast.” And he has delivered! Taking his love for beer one step further than proving the best selection in the area, he now serves the best and makes the best selections in the area! 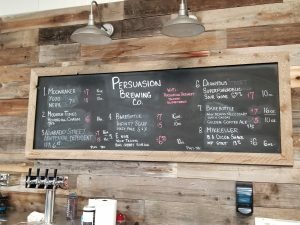 Patrick has just opened Persuasion Brewing inside our beloved Market and you would be silly to not go there this weekend. MV: What is your favorite beer? PC: My go-to is an IPA. I also love sours, and imperial stouts. Ok, actually I like a lot of beer! I push the envelope with distributors to get new, fresh, exciting beer here so we can all enjoy it. If you don’t ask, you might not get it! Always ask. The same goes for my customers. You want us to carry a particular brand? Let us know! 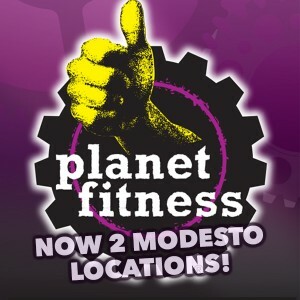 PC: Modesto has a conscious unlike any other city I’ve lived in. Everyone wants to make it better. We hoped to spark 7th Street, make this street better. I think we’ve done that. Pour into your community and be the change you want to see. Make the difference yourself. Patrick and his team have certainly revitalized 7th Street in the last year. The deli makes some delicious sandwiches, so do yourself a favor this month, take a break from the holiday-crazy and have a beer and sandwich with some loved ones at Persuasion Brewing. Their taps change nearly daily, so you are in for a treat anytime you go. If you’re looking for a last minute gift for a beer lover, pick up some rare bottles in the craft brew section-it will be the best present you’ll give this year.